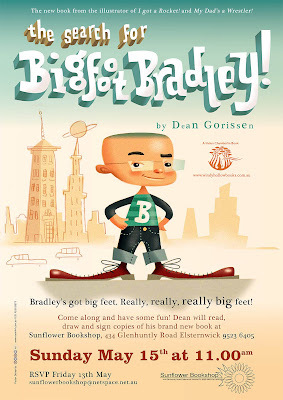 Sunflower Bookshop in Elsternwick is launching my new book the search for BigFoot Bradley on Sunday 15th May 2011 at 11am. 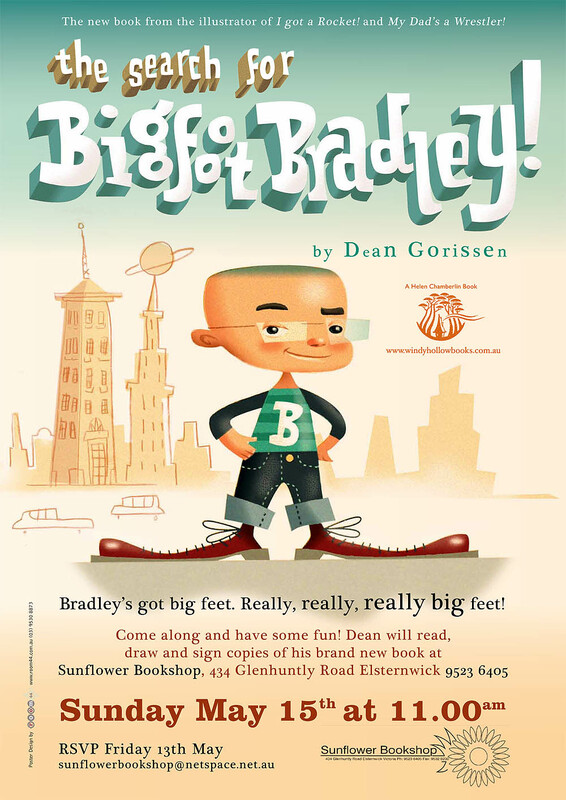 Sunflower has a tradition of support for local writers and artists and I'm happy and grateful that they've offered their beautiful shop for releasing Bradley into the wide world. We launched my book with Matt Zurbo 'My Dad's a Wrestler' there a year or so ago and it was a great success, though hope my drawing display splashes less paint on the carpet this time around!